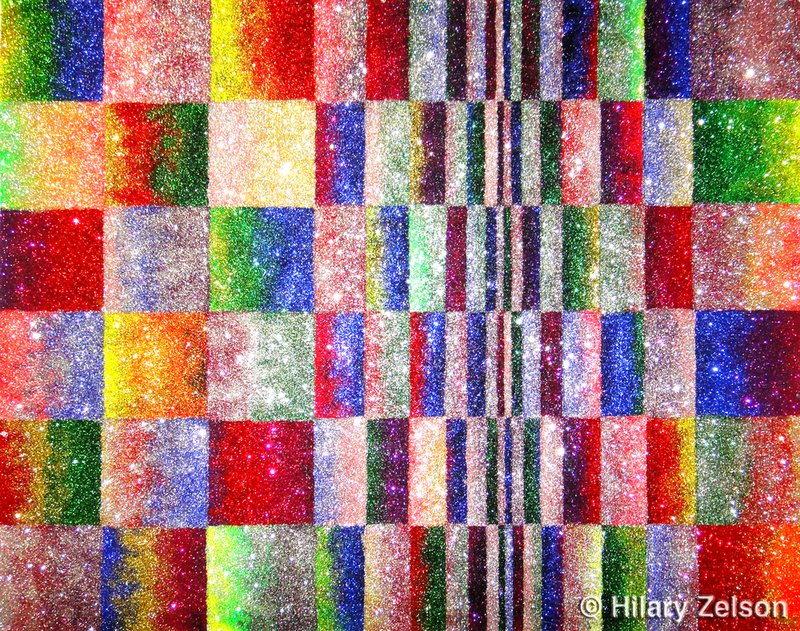 Glitter Illusion are part of my series "Glitter Paintings", which is a series of works created using glitter on paper instead of paint. This idea came about after my summer while working with mixed mediums, and I began to question why the use of “paint” made a “painting”. The paintings were displayed in a solo exhibition "Glitter Paintings" at Union College, and most recently, I displayed the series in another solo show "Dripping in Glitter" at Backstreet Gallery, in New Rochelle, New York during April 2012. In particular, Glitter Illusions focus on color, shape, and design. The glitter provides a dynamic way to interact with art, and takes painting to the next level. As light changes, the sparkle of the painting moves from place to place and catches your eye creating a unique viewing experience.